Smoothies made with ingredients that aid digestion can improve nutritional absorption and the health of the digestive system. For people with digestive disorders or inflammatory bowel diseases, digestion-friendly smoothies can be a godsend. The key is avoiding digestion-unfriendly foods and including digestion-friendly foods in your smoothies. Did you know that more people take pharmaceutical drugs for digestive problems and diseases than any other health issue? Digestive issues are an epidemic, and come in many different forms such as constipation, indigestion, acid reflux, ulcers, Crohn’s, IBS (Irritable Bowel Syndrome), GERD, and Celiac disease. If you don’t like the idea of taking a drug (that usually comes with negative side effects) to alleviate your digestive problems, then smoothies may be the answer. Below you’ll find tips and ideas for making digestion-friendly smoothies and three smoothie recipes crafted for optimal digestion. Smoothies are the prefect solution to digestive issues because they allow you to get the vitamins and minerals your body desires in an assimilable form that doesn’t overly tax your digestive system. Health gurus often recommend one smoothie or liquid meal a day simply to give your digestive system a break. Eat smaller and more frequent meals. Smoothies are the perfect solution for digestion issues, because you can enjoy a nutritious and tasty “snack” that provides the foods and liquids that improve digestion and boost nutrition. Use apple cider, not apple juice. Fresh organic cider is made from pressed apples and is usually pasteurized. It does not contain added sugar or other ingredients. Apple juice sold in the U.S. often comes from other countries and contains additional sugar and other additives – and sometimes harmful ingredients such as arsenic-based pesticide residue. Watch out for protein powders. Many protein powders, especially those that are heavily whey-based, can disrupt digestion and irritate the stomach lining and intestines. Better sources of protein include kefir and yogurt, which are fermented dairy products containing live bacteria and the “food” the bacteria needs to grow and thrive. Include kefir and yogurt. These are both dairy products made from cultured milk, but each contains different types of useful bacteria. Yogurt, especially acidophilus yogurt, includes bacteria that improve digestion and feed the friendly bacteria that live in the intestines. Kefir, though, is enzyme-rich and includes other strains of friendly bacteria that are not typically found in yogurt. These bacteria can actually colonize the intestines, and kefir includes yeast strains that can eliminate or control pathogenic yeasts in the digestive system. For many people, kefir is also easier to digest than yogurt. Eat your avocados. Just one medium-size avocado contains about 15 grams of fiber, and avocados are easily digested. Many sources of “good fats” and oils are not easily digested, but avocados prove the exception. Easy on the fresh fruits and vegetables. High-fiber foods, especially fresh vegetables and fruits, are the foundation of a healthy diet for most people. But these are the items – along with greasy foods and certain other triggers – that can disrupt digestion and exacerbate symptoms for people with digestive disorders and inflammatory bowel disease. Cooked or canned fruit is far easier to digest. Focusing on the “safe” fruits and vegetables will provide nutrition – and flavor – without causing digestion difficulties. Focus on digestion-friendly ingredients. Nutritious foods that improve digestion include avocados, cucumbers, peppermint, ginger, lemon, and fennel. Fennel seed is particularly helpful with digestion; crush a spoonful of the seeds and pour a cup of hot water over them. Let this steep till it’s cool, then strain it through a coffee filter. Stir in lemon or honey if you prefer, then add the fennel tea to a smoothie. It’s especially tasty with avocado or cucumber. Fruits that are good for digestion include bananas, pears, melons, and berries. Pears and apples are both rich in pectin, which is soothing for the digestive system. Bananas are a nutritious addition to many smoothies, and they are easily digestible. Red beets are loaded with potassium and magnesium – and good fiber. For maximum flavor and nutrition, buy small fresh red beets and steam them, unpeeled, with several inches of the tops left on. Remove the roots and tops and slip the peels off while the beets are still warm. Consider acacia powder. Heather’s acacia powder is available at helpforibs.com and provides a safe, soluble fiber supplement that improves digestion and reduces symptoms for persons with IBS and inflammatory bowel disease. For each smoothie recipe above, add the ingredients into your high speed blender and blend until nice and smooth. One of the oldest and time tested remedies for treating digestive problems is the consumption of stocks and broths. Check out my in-depth article: Bone Broth – Traditional and Superior Superfood. Many people have healed their gut and associated ailments by following the GAPS diet. Click here to learn about the GAPS diet. 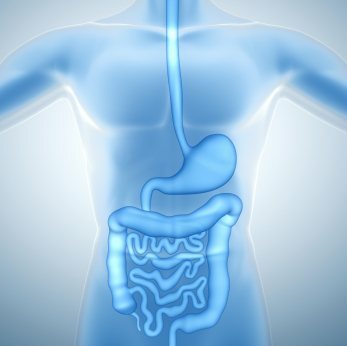 Another excellent resource for healing your gut is Konstantin Monastyrsky’s site gutsense.org. Fermented foods are great for digestion. Kefir and yogurt were mentioned above. Here’s a few others to consider: sauerkraut, kombucha, miso, tempeh, and pickled vegetables. For those who suffer from heartburn or GERD, this article offers some great advice on alleviating the symptoms: Get rid of heartburn and GERD forever in three simple step. Please leave a comment below if you have experience or advice dealing with digestive issues, or a good smoothie recipe for digestion. May I get the free smoothie recipe book? Thanking you in advance! Hi Ryan..I have Adhesions and bowel obstruction, after having a hysterectomy 5 years ago, due to Endometriosis..Will any of your smoothies help me? ?..Thanking you in advance..
Hi Nicole, I wish I could answer “yes, my smoothies will help”, but I really don’t know and am not qualified to answer that question. Have you been given direction on what to eat from a qualified medical professional? You’re certainly free to try these smoothies to see if they’ll help. I also recommend exploring the GAPS diet – a gut healing diet. I have been having trouble from the scar tissue & adhesions. Hemoriods too. I read something a few weeks ago, looking of a way to help, wondered if smoothies would. I ran across this lady’s blog, fantastic! She was having years of trouble too. After her smoothie, her most valuable thing she said & WORKED was to use a squaty potty. Lol. A what!? Anyway I rigged on, it’s just a stool for ur feet, about 6.2″ from ground. Have a seat, feet up & just hang out. DON NOT PUSH OR STRAIN. Mine just came out,sometimes not even knowing it. I’d been using miralax, nothing. I mentioned to my cousin an out the potty thing, she doesn’t have big problems, but, she got herself one,(u can just use a chap plastic step stool as used by kids to reach say sink) don’t go get one from bed bath & beyond. She txt, said she tried it…& WOW!! She was so impressed. So, get those smoothies, a stool, prob a good book, as the lady said sit for 15 mins, tho I’ve never had to sit that long. Good luck. I’d just been in the hospital for a BP med that caused an infection in my bowels, felt like an obstructive bowel. Was there for 5 days. This is the first thing of all I’ve tried, that has actually worked. I still have a few days, not so much, but PLEASE, I’m so understanding of your problem as mine is from the same type problems, I’d try the two things. Good luck!! Hey Ryan, I have Gerd, FMS, Diabetes, controlled by diet NOT meds. Allergies to: MSG, Milk, Soy, Tofu, Yogurt & Silk….Phew! :-) 62 yrs young but need a pick me up energy, low iron & potassium…..
Make appropriate substitutions for things you’re allergic to. I could not get the link to work. I even tried copying to the browser. I would love a smoothie recipe book, please. I read that Mango is a good fruit to include and also Papaya for digestive issues. Is this true? Thanks for your help. I sent you an email containing my smoothie eBook. Papaya promotes digestive health and intestinal cleansing and mango also supports healthy digestion, for most people. If your digestive track is severely compromised you may have to take it easy on these fruits. While smoothies can offer some relief I highly recommend the GAPS diet for healing any digestive issues. I recently reread the book and am convinced the GAPS diet is the best way to resolve digestive issues. Reading some of this and it very much interests me…. how do I get some recipes also. My e-mail is elysef517@yahoo.com. Just signed you up for my free newsletter, Elyse. You’ll get an email to confirm and receive by e-book. My site contains over 200 recipes. Hi Ryan. My dad is having a gastoscopy tomorrow at 3pm. His surgeon said he could have a smoothie at 9am, as he is diabetic and quite ill at the moment with cancer. What is a good smoothie for him to drink that will digest quickly so that his stomach will essentionally be empty in time for the gastoscopy? He had an esophoagectomy 4 years ago (just to complicate things) so his stomach is not in the usual spot, and he has to be careful with fibre. If you can help with a suggestion, that would be great. Also, could I get your smoothie recipe book? I drink them all the time. Feel free to increase the amount of each ingredient if he’d like a larger serving. I just sent you an email to confirm your subscription to my free email newsletter and get instant access to my recipe eBook. I have a quick question – I am allergic to bananas, what would be a good substitute in these recipes calling for bananas?? Thanks!! Hi Linda, that’s an easy one – avocado. Cheers, Ryan. Hi Ryan! Could you kindly send me the free smoothie recipe book to my email? It’s on its way, Marie. I’ve been told that adding yogurt to a fruit smoothie impedes to effectiveness of the enzymes of the fruit, Is this really a factor that I need to consider? In some food combining circles consuming yogurt with sour fruit is advised against. I would only avoid this if you personally notice sluggish digestion. Listen to your body. what kind of smoothie would be good for my condition? Play with the ingredients and find what works for you. Hi Ryan, I am excited to try your recipes. I was recently diagnosed with Gastroparesis, and fiber is a problem. I have found that some recommendations for IBS and other disorders are not appropriate for my condition. Will the acacia powder be okay for me? Are there any other modifications that I should make to your stomach-soothing smoothies? Also, please send the free recipe book. The link did not work for me. It’s hard to say how you’d fare on the acacia powder. It’s dietary soluble fiber; not insoluble fiber, therefore it might not be appropriate for your condition. You could always reach out to helpforibs.com and ask them. I would try the Stomach Soothing Smoothie as is and see how you do. After that I would look at incorporating additional demulcents into your diet. The biggest thing is to listen to your body – it knows best. I would like to have the free receipts book. Working at a hospital patients with its. I just signed you up for my newsletter to receive my recipes eBook. Just wondering I have bad burning in my tummy and my throat is so bad. I have tried many prescribed meds, but nothing is helping. Is there any type of smoothie or natural fruit or vegetables that could help me out. I am so desperate to eliviate this burning. It has been going on for about 20 now my tongue went numb and now that the feeling is back it feels like it has been burnt with some hot liquid. I have had this for several months with the tongue. Any help would be greatly appreciated. It sounds like you should work with a qualified medical professional. I used to suffer from a burning tongue, esophagus, and abdominal pain until I began taking a compounded powder form of Nystatin. My doctor has me mix the Nystatin with a small amount of water, then swish and swollow. My MD had me do this for 2 to 3 months, and all the burning sensations are gone. My MD did not recommend the sugary premixed liquid Nystatin whereas a different MD did, and it did not treat the symptoms like the powdered compounded Nystatin. The compounded form is a special order medication at Walgreens. Best health to you!! Hello Ryan I would like to try your drinks however I am concern because I have a problem with abdominal gas. I do not drink or eat dairy products. Could you please send me some recipe that would help my digestive system but would not give me gas and that I can include ginger. I was told ginger is very good for the digestion. Ginger is great for digestion and can be incorporated into most smoothies. You’ll have to experiment with the ingredients above until you find a combination that works for you. wow just want to say thanks great help!! Hello. I have a question. I was told I have multiple stones in my gallbladder and also kidney. I am waiting for a surgery and want to take care of myself as much as I can. What smoothies could benefit me and also can I add coconut oil, coconut water and or coconut milk to my smoothies? Thank you in advance. I appreciate your answer. I’m really not in a position to give medical advice. However, if I was you I would consult an alternative health practitioner such as a homeopath or naturopath and try to avoid surgery. Check out my Detox smoothies, those may provide some relief. You may want to use coconut oil sparingly if your gallbladder is bothering you. Coconut water and milk are fair game. I’m not sure if you’ve ever tried psyllium husk or not. If not, I’d like for you to know that I began taking two teaspoons one to two times daily, and I feel so much better and healthier since taking it. Now I have normal daily bowel movements! Good luck and take great care!! I’m not qualified to answer your first question. As far as losing weight, yes, these smoothies as well as the info and recipes at the the link below will help you shed unwanted pounds. Hello, my mom has a lot of stomach and digestive problems. Is there a specific smoothie recipe that could help out with that? Thank you! Hi Ryan Carmody, I feel much better while I am using herbs like ginger, cinnamon, fennel seed, turmeric, curcumin, cayenne pepper, coriander, and moringa for this ulcerative colitis. Check your email, Tequilla. Good luck! Hi, my husband recently had open heart surgery and was on antibiotics and long story short, developed c-diff infection. He is now on a second round of vancomycin. He tried one type of strong probiotic to try to repopulate with good yeast but he can’t tolerate it. Any suggestions? Don’t want to see him on antibiotics forever and he needs a low sodium heart friendly diet. Thanks. Probiotic supplements are great, but I believe fermented food and drink are more powerful. Kefir, kombucha, sauerkraut, and kimchi for example. I recently was diagnosed with gastroparesis and am wondering if there are any smoothie recipes that I may try, I have been told no raw fruits or veggies and am having a hard time tolerating yogurt. It sounds like most or all smoothies don’t work well for you right now. I highly recommend the GAPS diet for healing any issues like this. I think I have mold poisoning from all the flooding and my house has flooded as well. What are some good smoothies to kill the bad bacteria in my body??? 1) I am not a doctor and I am not giving anyone advice on what to do or how to treat any disease process or health issue. Just sharing information and experiences in my own health journey. 2) Kefir has changed my husband’s and my gut health. My husband had terrible GERD and was taking up to 2 Nexium a day. I bought milk kefir grains and have been growing MK grains, making kefir w/ 2% milk and drinking kefir smoothies every day. My husband no longer has GERD or heartburn problems. I no longer have sugar/carb cravings at night. 3) My mother is very allergic to kefir. After about a month of making kefir, my mom came to visit. I had made a kefir smoothie with strawberries. I let her take the first sip. She immediately started sneezing and coughing. We thought maybe it was the strawberries. Then, I asked her to taste just the straight kefir liquid. She took a tiny taste from a baby spoon dipped in the kefir. Again, she started coughing and she said the outside of her throat was itching. I immediately gave her liquid Benadryl and she was OK after about 10 minutes. YIKES! No more kefir for mom! I posted this on a kefir grains group on Facebook and I received many responses and possible reasons why she reacted. My mom has been diagnosed with rheumatoid arthritis and someone said there may be some kind of link there. She is also highly allergic to peanuts and just acquired the peanut allergy about 3 years ago. A couple of other people on Facebook said they themselves or someone they knew was also allergic to kefir and had different reactions. Again, I posted this for informational purposes only. This is a great article and I’m going to try the smoothie recipes. Thank you! I just downloaded your book; your article seems great. Eating is a struggle for me, not because I do not like to (smile). Only because I am Gluten free, I would say lactose free and certain foods irritate my system. Would you say smoothies are good for me? I would think they are. I drink at least 90 ounces of water a day-been doing this for 20 years. The problem I have is, I tend to snack on things I should not have when I’m stress and sometimes I increase the size of my meals which of course makes me fill sick. Yes, I think smoothies with the right ingredients would be good for you. Pretty much every one of my recipes is gluten free. Nutrient dense smoothies keep me satiated and less likely to reach for snacks. Let me know if you have specific questions about ingredients or smoothies. Hi Ryan, I need to make a smoothie and the only ingredients I have are apples, carrots, avocado, berries, lemons and coconut oil.. Is there any good mix of these ingredients that would help with digestive issues? I appreciate any help! ONWARD AND UPWARD! Smoothies have done wonders to help heal digestive issues including hemmroids. About 5 weeks duration incorporating smoothies in my diet. Hey Ryan,I would really appreciate it if you could send me a smoothie recipe to ease and/or get rid of uncontrollable flatulence.Almost everything I consume gives me gas.Please help.Also please for a copy of your smoothies recipe book. Actually I have a history of stomach disorders.But it all happened due to the flatulence problem.I couldn’t function well meaning I couldn’t eat,sleep or work properly.My social life was and is still quite difficult and humiliating to cope with.I have been to several docs about the flatulence but they all make fun of me.I’ve been to another doc but he says I have three kinds of ulcers so his main focus is getting rid of the ulcers and mine is to get rid of the flatulence.I’m on a strict vegetarian diet so I’m unable to try the broth. Sorry to hear that. I’m not sure what to recommend if you’re a vegetarian. Bone broth and the GAPS diet (gut healing) are what I recommend for any and all digestive tract issues. Well can I consume herbal teas or incorporate the teas in the smoothies.I have access to aloe vera,basil,holy basil,fennel,chia seeds and anise seeds. I really don’t know how to use these herbs at their best.I’m extremely desperate to get some relief because all most whole day every day I am faced with this flatulence.I would really like to use something on the go so when I’m at work I would be a bit comfortable.I also have some ginger. I highly recommend you explore the GAPS diet – a gut healing diet. If I was in your situation that’s precisely what I would do. Hi Ryan! My BIGGEST problem is constipation. I see you have smoothie for constipation out on your website. Which smoothie will be the best for that and also would the weight loss smoothie help with constipation because I’m trying to loose some weight also. Any help with be helpful. Could you kindly send me the free smoothie recipe book to my email? By and large all smoothies promote regular bowel movements. The weight loss smoothies and the recipes above should help with constipation. However, stay away from bananas. For relief from constipation, try taking 1 tablespoon of yogurt (preferably organic) hourly. Look for a confirmation email to receive my recipe e-book and free newsletter. Check your email to confirm subscription to my free newsletter and get access to the e-book. I hope you enjoy, Khalid. Hello Ryan, hope you’re well. My question is for my Dad who’s 74 yrs old. He’s been suffering from diffrent illnesses like on heart, lungs,skin problem(red patches)and currently in the hospital with swelling arms with puss due to infection, he and the Dr.’s are biw studying if they would do an operation to clean all the puss out from the very inner part of his. Because of being sick, his digestion is not as good as normal, my mom is now giving him mixed of veggies with broccoli smoothie. Im just wondering if you could give me more smoothies that you would think make him strong again, and could help for the inflammation and infection please.. hope to hear from you.. Thank you very much in advance.. More power. I could not get the smoothie recipe book link to respond, and it would not let me cut and paste either! Your site is the best I have seen so far for recipes and just plain common sense suggestions. Thank you. hello, may i get your smoothie recipe? thanks! Look for an email to confirm subscription to my free newsletter to get my recipes e-book, Lorna. I’m not qualified to answer those questions – it’s best to consult a medical professional. My wife has Ankylosing Spondylitis which is a type of arthritis that affects the spine. She takes medication for this which results in severe constipation so which smoothie would be best for that ? Could you please email me your smoothie recipe book and regular smoothie newsletter ? I’m not familiar with that condition and not a medical professional; so can’t provide a definitive answer. The recipes above along with recipes on these articles of mine are worth trying. Hopefully, you find one that offers some relief. Looks like you signed up for my newsletter and should have received my recipe book. Can you please tell me which ingredients if any I shouldn’t include in a smoothie I am making ahead to take to work the next day. There aren’t any ingredients that absolutely shouldn’t be included, Leianna. Just know that a smoothie’s consistency will change after freezing or refrigerating. Play around with the ingredients to find those that work nutritionally and consistency wise. I have acid re flux due to bad diet choices. I appreciate your article on Digestive smoothies. I would like to start by replacing my breakfast with a smoothly. I have a blender and a cold press juice machine. Do you have any recipes that include mixing juice from both. For the life of me I can not make a a drink with the cold press machine that tastes good. Try replacing the liquid (usually water or milk) a smoothie calls for with cold pressed juice, Lou. My daughter is 16 and was diagnosed with Crohn’s disease last year. She is now on a liquid diet until July 20th when she will have surgery to remove scar tissue that is causing blockage. She can’t have any grains (rice, etc. ), dairy, soy, etc. as her gut is raw and inflamed. Do you have some suggestions for her? I need to get her the nutrients she needs and it concerns me. Thank you. Any recipes with no yogurt in them? I have rosacea and yogurt inflames it.